As a general practice, we long ago moved away from naming sites after their audience in favor of topic, so this is in keeping with the more modern approach. 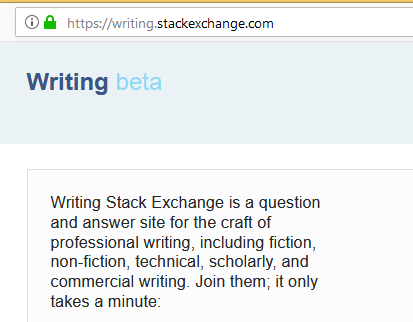 Old links should seamlessly redirect from writers.stackexchange.com to writing.stackexchange.com, and the new name itself is in keeping with the description of the topic and audience already in use here for a while. Chat may take a few days to update, so don't be surprised if you see the old name hanging on there for a while. Browse other questions tagged discussion site-name . Why is this site called “Writing” but still referred to as “Writers” at Area 51? How has this site helped you and your writing? I'm new here; how can I get a feel for what questions are appropriate? Should we answer questions about homework assignments?